The year 2013 doesn’t seem to be a good one for Mach1 Motorsport and John Norris. 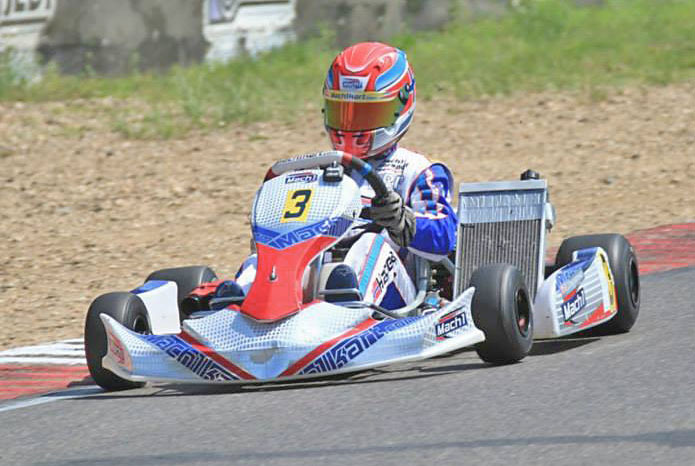 The German Kart-manufacturer lead the international field at the Bridgestone Summer Cup until a technical defect destroyed all of their dreams again. Nonetheless, important conclusions could be drawn regarding the DKM. 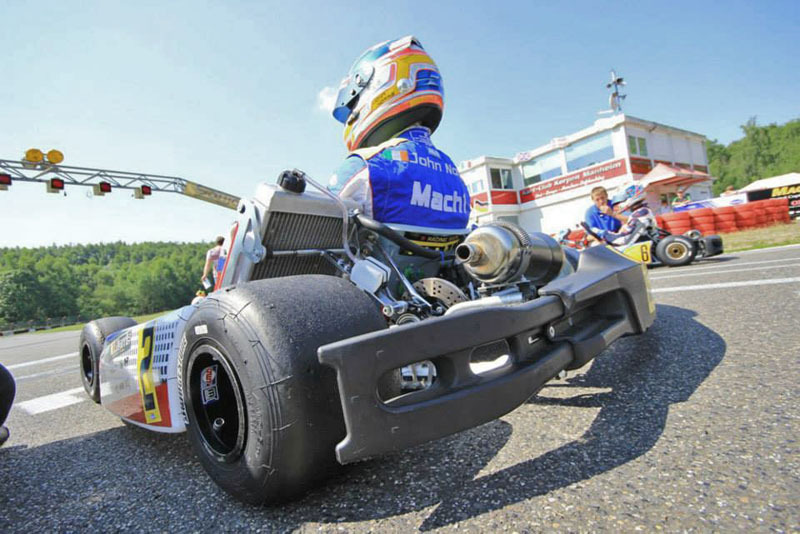 The racing circus doesn’t pause: Last weekend Mach1 Kart started at the Bridgestone Summer Cup on the Erftlandring in Kerpen with three drivers. 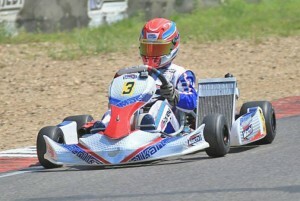 As spearhead, factory driver John Norris started at the KF2 and presented a great start on Saturday. He finished the Heats on the overall second place and was therefore dealt as one of the favorites for the overall victory. During the first final he lost a couple of positions after a mixed start, was then able to regain these though and took the lead halfway through the race. He left his opponents behind him with great speed and seemed to be on his way to victory. But a cent-article destroyed the dream and John had to forfeit the race prematurely, losing all chances of achieving the overall victory. “It simply doesn’t stop. We were really fast and our performance was great”, the Irishman explained later. He gave it his all during the second final again, starting from the back of the field. He was able to improve his performance up to the great sixth place. “The competition was really strong and comparable to the DKM. We have learned a lot and should be able to profit from that next weekend. The DKM is very important now, I want to win the title in the end”, said Norris fiercely. Next to the driver from Ireland, Julian Müller started at the KF2 as well. Currently on second place of the X30 seniors at the ADAC Kart Masters, he showed a great performance. From tenth place he jumped to the top ten during qualifying and was able to improve his performance even more during the Heats. “Unfortunately, I had a bit of bad luck during the second Heat. I can still be very content with my ninth place during the first though”, said a joyful Julian Müller on Saturday. After summing up the races, he achieved 14th starting position for the first final. He couldn’t be stopped during this then – he steered clear of all quarrels and improved his performance up to the great 8th place. Unfortunately a falling out during the second race got in the way of a perfect ending to the weekend in Kerpen. But Julian will get his next chance in a couple of days already when he will be driving among an international top field at the DKM in Kerpen. In the meantime the races were difficult for junior Nicolai Hagenaes. 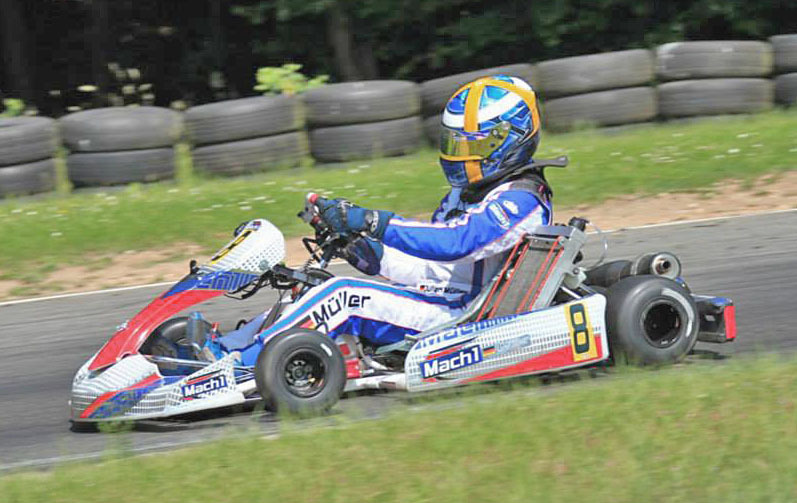 The young Norwegian used the weekend as preparation for the DJKM, wasn’t able to get into his usual rhythm though. On Saturday he stayed far behind his own expectations and had to face a difficult task on Sunday. Things went considerably better during the finals then and he achieved jumping to the top ten by coming in 14th and 7th and ending up on the overall 9th place. The team will be travelling to Kerpen again in a couple of days. The DMSB awaits over 130 drivers from more than 20 nations for the halftime-race of the German Kart Championship.